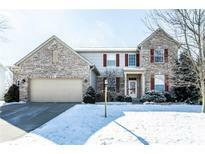 Below you can view all the homes for sale in the Weaver Woods subdivision located in Fishers Indiana. Listings in Weaver Woods are updated daily from data we receive from the Indianapolis multiple listing service. To learn more about any of these homes or to receive custom notifications when a new property is listed for sale in Weaver Woods, give us a call at 317 979 0009. The full basement houses the fifth bedroom and plumbed and ready for an additional bath. MLS#21629451. F.C. Tucker Company. Guaranteed that this impressive residence won't last long! MLS#21629430. F.C. Tucker Company. Phenomenal HSE schools. Easy access to interstates. MLS#21625463. F.C. Tucker Company. So stop reading and set up a showing today to become CHAMPION of your Next Home before its gone! MLS#21619129. RE/MAX Legends Group. 2.5-car attached garage, great views of the reflecting pond and school within walking distance! MLS#21599663. Kosene & Kosene Residential.